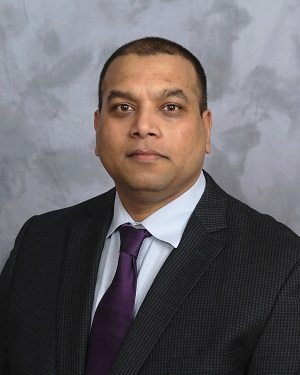 Paresh Mane, M.D., has joined Albany Thoracic and Esophageal Surgery in Albany, New York, a practice of St. Peter’s Health Partners Medical Associates. Board-certified in surgery and board-eligible in cardiothoracic surgery, he practices thoracic surgery. Previously, Dr. Mane was an assistant professor of surgery at Tufts University School of Medicine, and attending surgeon at Tufts Medical Center. His professional interests include airway surgery and minimally invasive esophageal and lung surgery. Dr. Mane received his medical degree from Goa University, in Goa, India. He completed a residency in general surgery at Tufts Medical Center, and in cardiothoracic surgery at Massachusetts General Hospital and Harvard University in Boston. Albany Thoracic and Esophageal Surgery is accepting new patients at 319 S. Manning Blvd., Suite 206, in Albany. To schedule an appointment with Dr. Mane, or for more information, please call 518-525-8501.